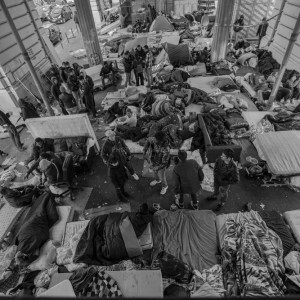 26 March, 2016. 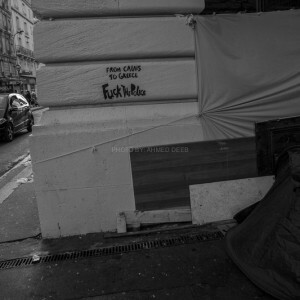 France, Paris. 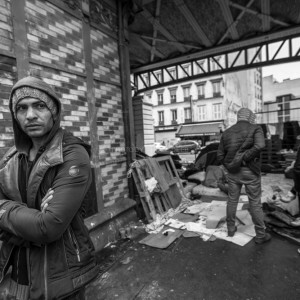 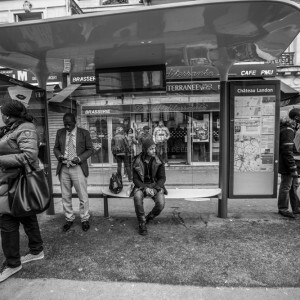 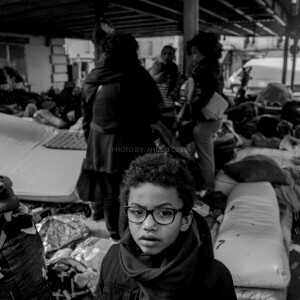 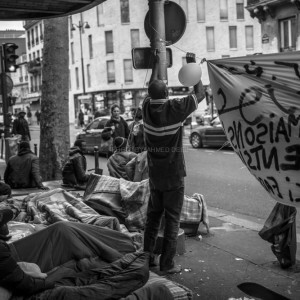 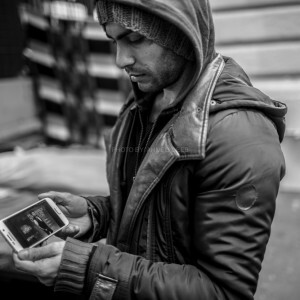 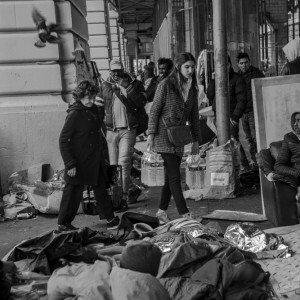 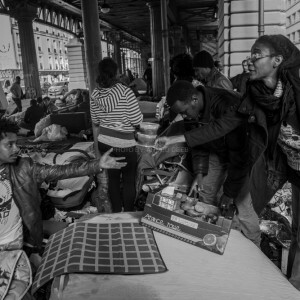 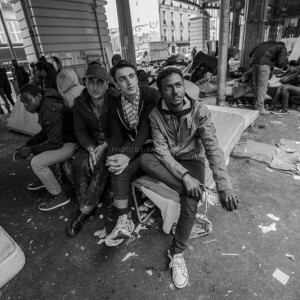 About a thousand of refugees and migrants from Afghanistan, Sudan, Somalia and Eritrea had found shelter under the Paris elevated railroad near the Stalingrad subway station in the north of the city. 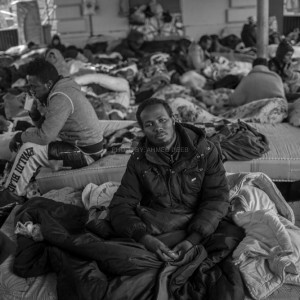 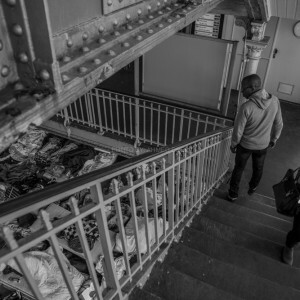 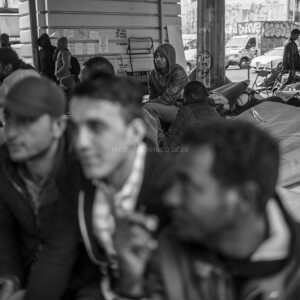 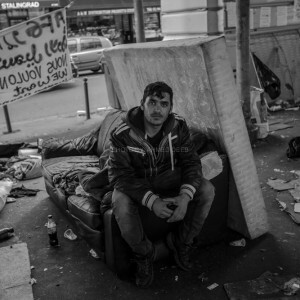 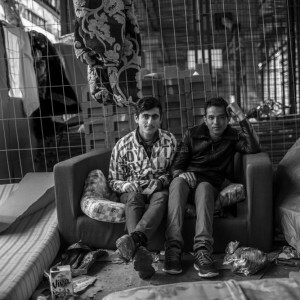 Migrants are living in squalid conditions, surrounded by trash and with no bathrooms. 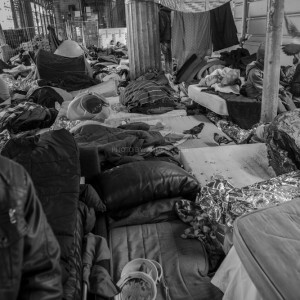 Residents of the camp relied on locals and neighborhood businesses for provisions. 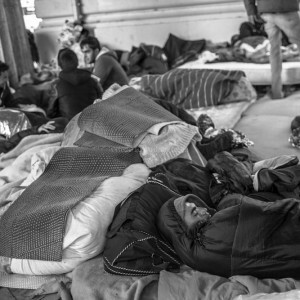 Conditions are particularly rough for the many children who live in the camp, and have been forced to sleep under wet blankets, on damp mattresses laid down on the ground, without any help from the government except some volunteers bring food, blankets and other needs.